As Americans, we’re obsessed with the forbidden fruit of cars we don’t get here, like the Audi A1 and the BMW 1 Series. But now there’s word that Mercedes-Benz could be bringing the spunky little A-Class stateside. 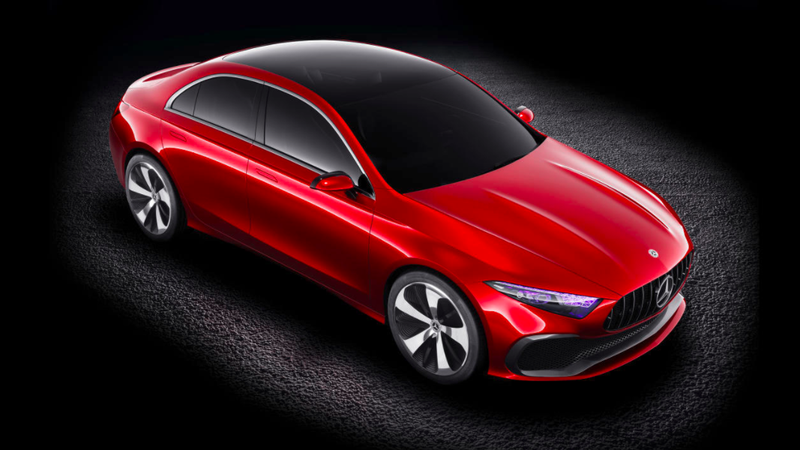 According to Automotive News, which cites unnamed Mercedes sources at a dealers’ meeting in Miami, we can expect the A-Class to finally hit our shores at around September of next year. The car would slot beneath Mercedes’ current lowest offering, the CLA, which starts at $32,700. When emailed for confirmation of the A-Class and if we could expect an A45 AMG as well, a Mercedes spokesperson declined to comment. While a new downmarket premium offering is always exciting for us, it’s always funny to me how cool they are over here and how boring and ubiquitous they are in Europe. The European A-Class is basically just a little econobox, nothing terribly exciting. Which makes me hope that the A-Class that comes here will be different than the ones in Europe. Otherwise, how will Mercedes justify people buying it over a Hyundai Accent? Brand snobbery? Clarification: The Automotive News story reported that the A-Class sedan would be coming to the United States and did not mention the hatch.